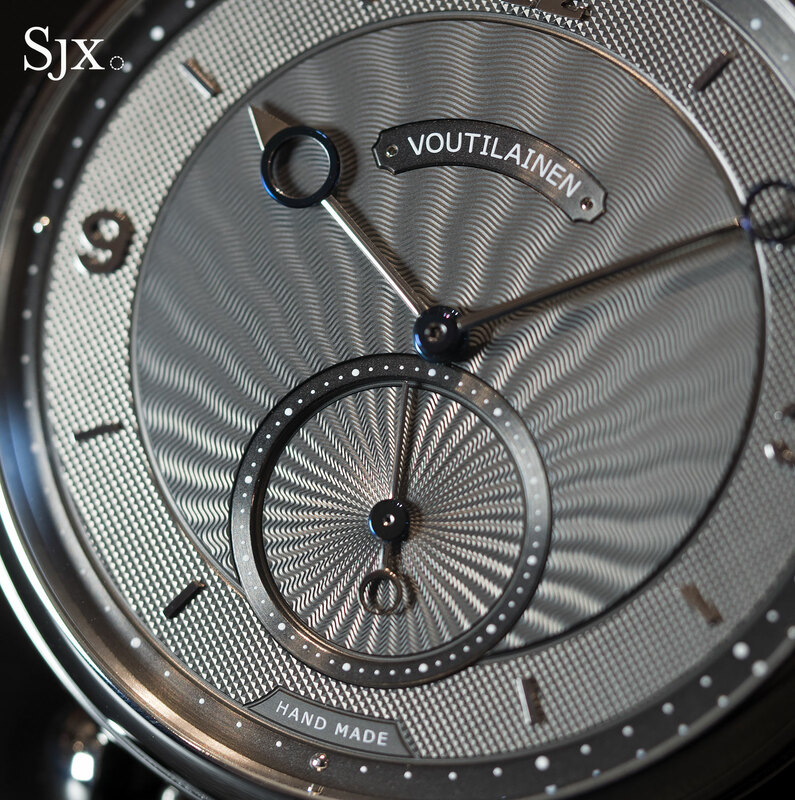 Usually a modest 39mm in diameter, the Voutilainen Vingt-8 made an appearance at SIHH 2017 in an unusual guise – with a 44.5mm case of stainless steel. 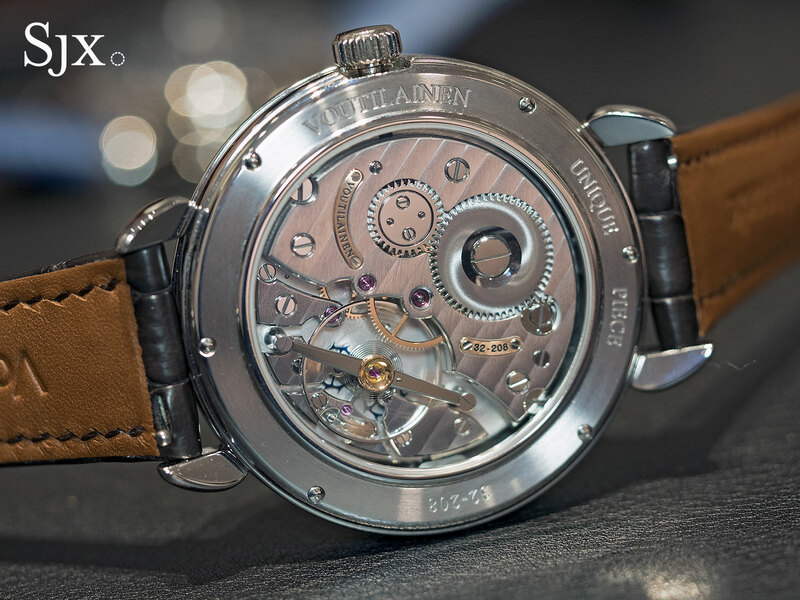 While not the first extra-large Vingt-8 made – Voutilainen has made one each in white gold and platinum before – this is the only one in stainless steel. No more will be made in this metal. 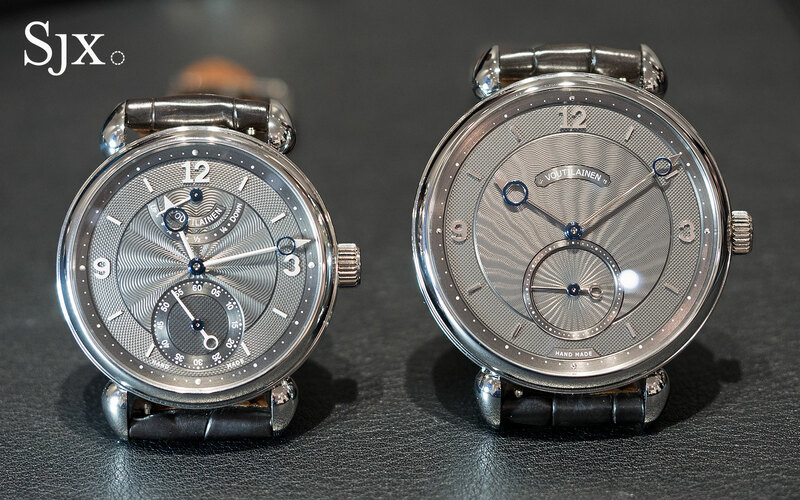 And in fact, Kari Voutilainen himself estimates only about 11 or so watches of his have been made in steel, including the GMT-6 “Only Watch” sold at the eponymous charity auction. 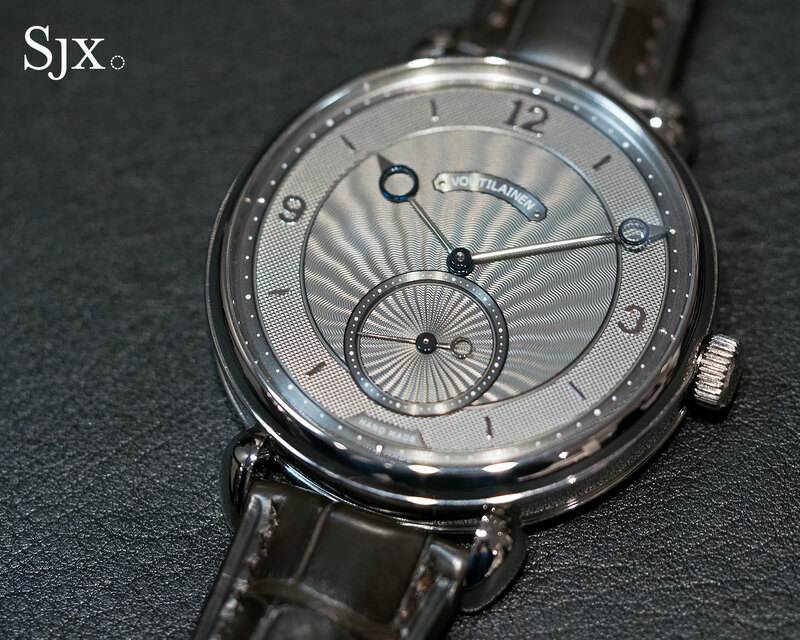 While the enlarged case is exactly the same style as the typical Voutilainen wristwatch, the size of the case renders it instantly different. The watch feels slimmer, because of the wider diameter, but a thin bezel and narrow lugs make it seem ever larger than it is. 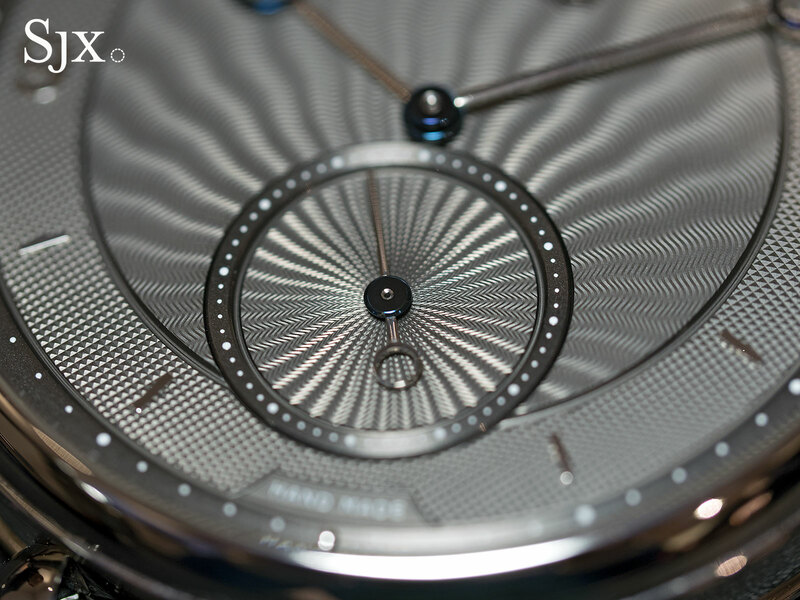 In fact, the lugs are the same width as that on the 39mm watch. 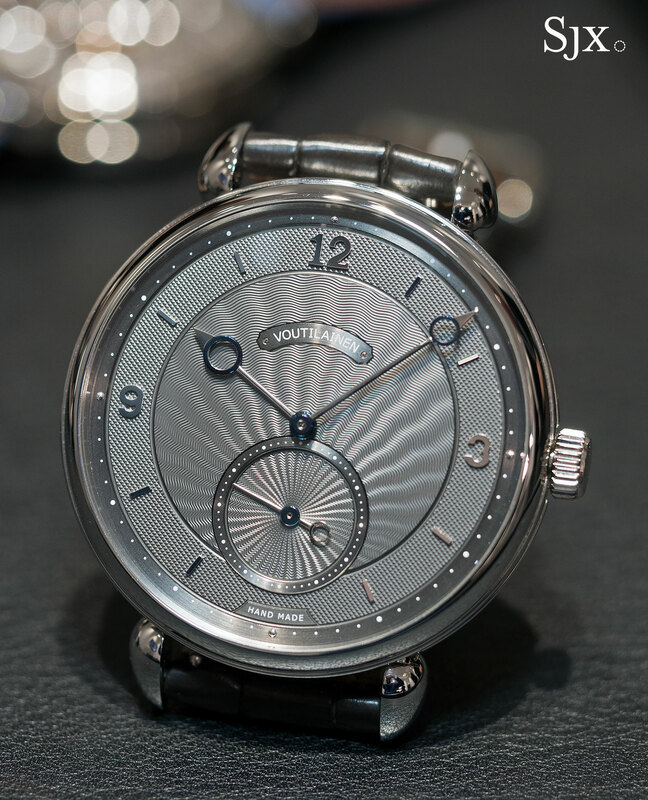 Fortunately being in steel the 44.5mm Vingt-8 is relatively lightweight so it does not feel unwieldy. 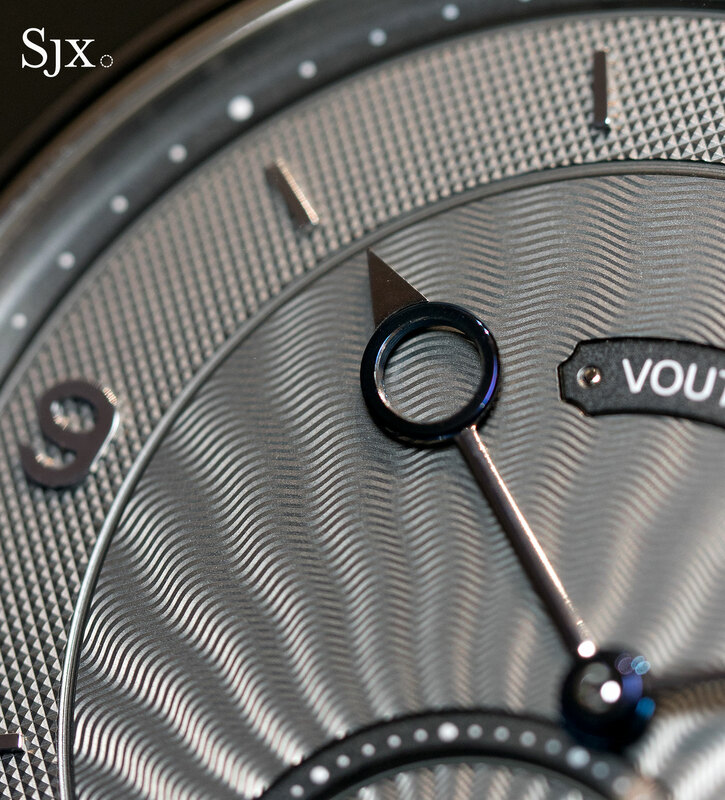 The size of the case means the dial is expansive, with moire guilloche radiating across the dial. And the engine-turning is on the same scale as that found on the smaller Vingt-8, it seems proportionately smaller, which gives it an extravagant but not overly busy look. 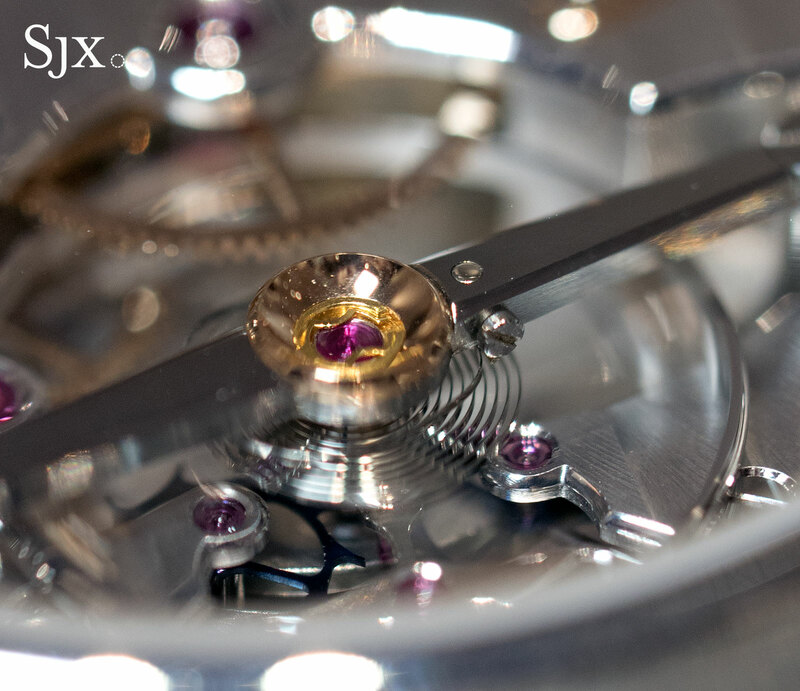 But the opposite is true for the hands, which are longer than normal but fitted with a pressed ring at the end that’s the same as that on the regular sized watch. This leaves them feeling a bit small. 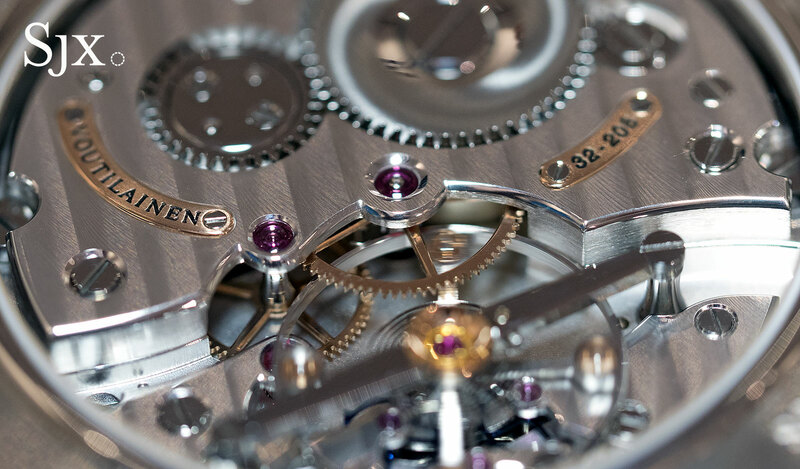 Admirably the movement inside is not merely ported over from the ordinary Vingt-8. 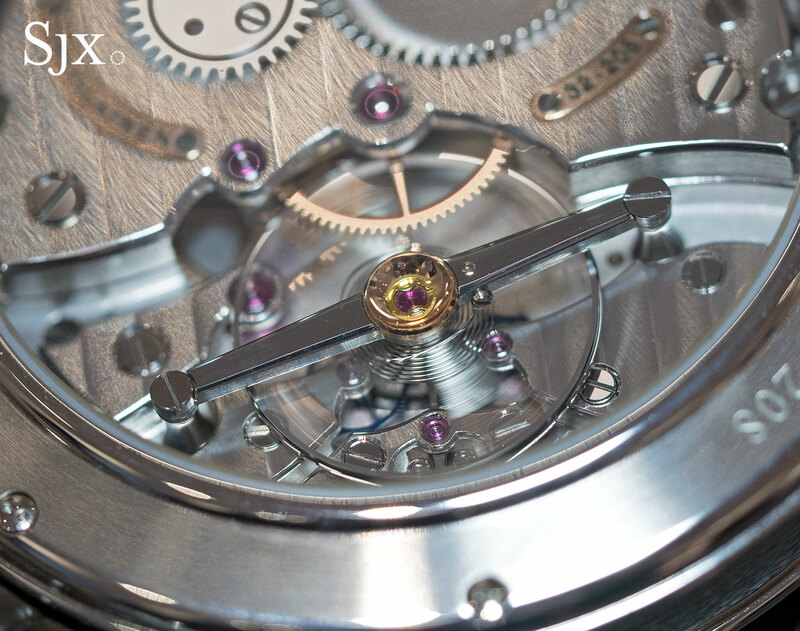 While the underlying mechanics are identical, the base plate and bridges have been widened to grow the diameter of the movement, to give it a better fit inside the large case. 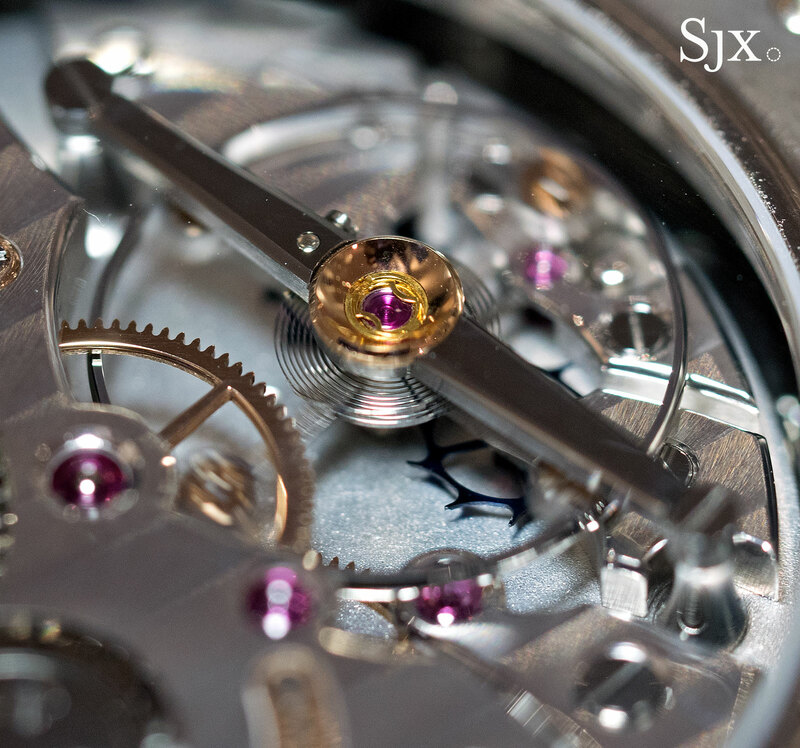 The bridges have also been reshaped to pleasing effect, while the balance bridge is flat polished instead of rounded as is convention for the Vingt-8. 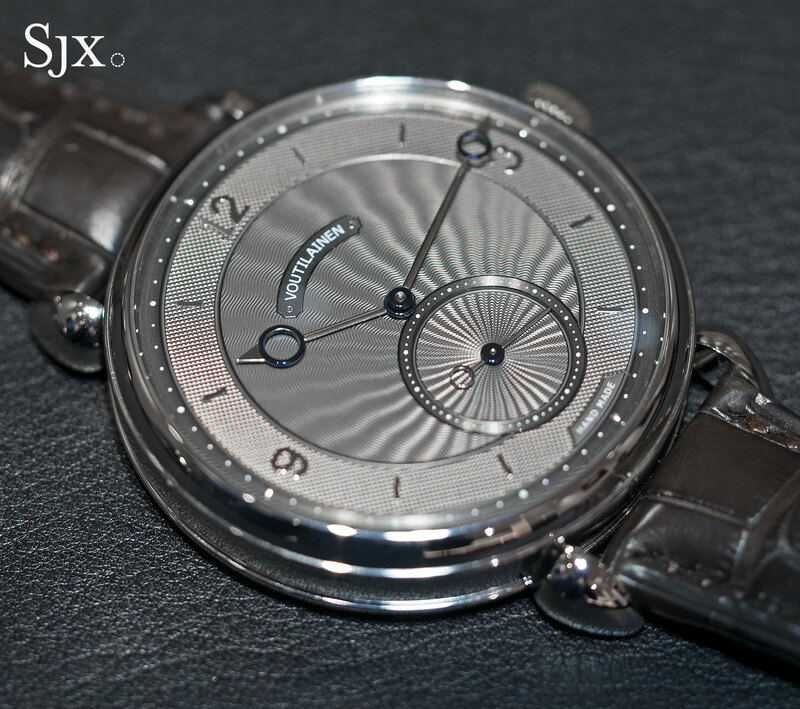 The Vingt-8 44.5mm in steel is a unique piece, priced at SFr75,000.